Ring News 24Boxing NewsDoes Mikey Garcia have a chance vs. Errol Spence Jr.? As it has been widely reported, Mikey Garcia has opted to vacate his IBF lightweight title. Garcia won the belt in his last fight in July, a unanimous decision victory over Robert Easter Jr. In Los Angeles. Garcia is still a champion at 135 pounds, claiming the WBC title. Why would Garcia make such a move? 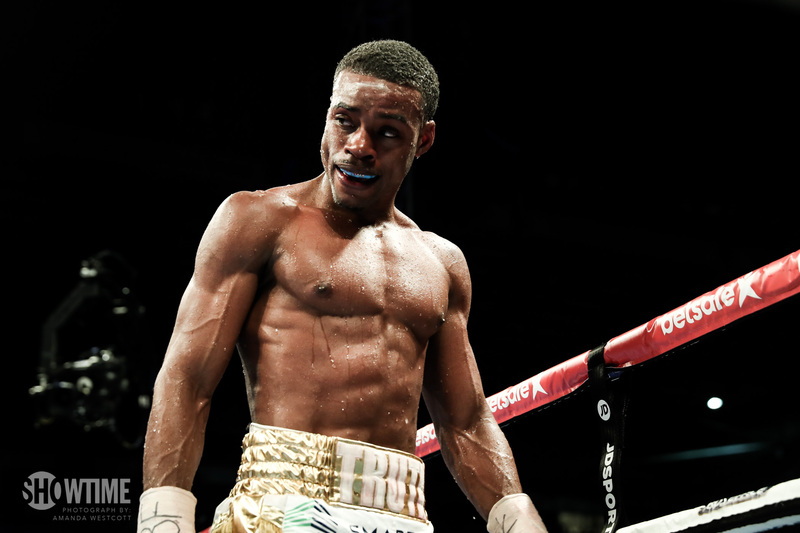 It appears very likely that the Riverside fighter could be heading towards an explosive showdown with IBF welterweight champion Errol Spence Jr. In early 2019. Garcia had two weeks to make a move towards a fight with mandatory challenger Richard Commey, who would have made for an interesting fight, but one that isn’t on the level of a Spence showdown. Garcia is somewhat vague about what is next, not directly referring to the Spence fight, but promoter Richard Schaefer, who works closely with the fighter, elaborated. Garcia, earlier this year, vacated his IBF junior welterweight title as well, as instead of facing mandatory challenger Ivan Baranchyk, an instead faced Easter to unify two titles. Schaefer feels that although titles are meaningful, Garcia is after fights that could secure his legacy. What kind of chance does Garcia have if he were to face Spence? It would all boil down to his boxing ability. For one, we know Spence is the physically stronger and bigger man, as well as being a tremendous puncher. What Garcia has shown us thus far, that one of his best abilities is his ring generalship. He knows how to read opponents in the ring and perhaps he is planning a bull vs. matador tactic vs. Spence, who is a fighter who fights with patient aggressiveness. Garcia may seem crazy to want the fight but he has a decent chance, in my opinion, of making a fight vs. Spence competitive. We should find out in a few months’ time.